The game not only includes a guitar, but a drum kit, and a microphone. So now all your friends can pretend to be rock stars at the same time. With the holidays behind us and the popularity of gift cards increasing every year, make sure you don’t let them go unspent. What does it mean to ‘honor’ mementos? The Unclutterer staff wants to send off 2008 with a list of our favorite posts from this year. These aren’t necessarily the posts that were the most read or the most commented, but are the ones we treasured for some reason we can’t explain. Most of all, we hope you enjoyed them! Do you have a favorite post? We would love to know which posts bookmarked a place in your hearts in 2008! In the January issue of Martha Stewart Living, there is a feature on maximizing your closet space. There is a great photo gallery on MarthaSterwart.com, which highlights some of the excellent ideas. High Altitude: Hard-to-reach areas are a closet’s no-man’s-land. A spring-loaded pull-down rack, which you can install yourself, solves the problem. A light tug on a handle positioned in the center of the rod brings clothes to you. The racks are sold on the web and through some closet and organizing stores. Be sure to check out the online gallery for even more ideas. As a final note, I’ve looked for the “spring-loaded pull-down rack,” but have been unable to find a retailer that sells them. 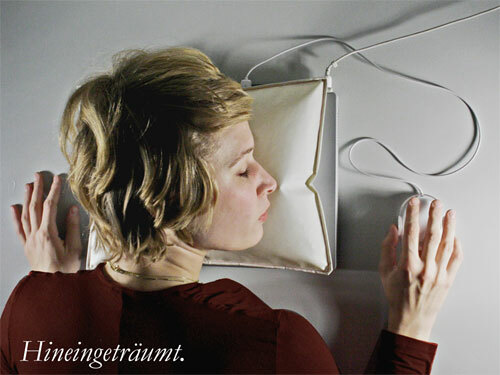 Does anyone have an idea of where to find this? The state of the U.S. economy (and, realistically, the economy in most other nations throughout the world) has seen better days. Whether you need to or not, you are probably closely watching your money. Online banking. Most banks and credit unions have websites that let you track your accounts online. If you aren’t already, I suggest signing up for these services. Online bill paying. To save money on postage, many utility companies and other service providers now allow you to pay your bills electronically. An automatic system can help you pay your bills on time, and also provide you with a second digital receipt of your money transfer. Quicken online. You can track all of your personal finances through a free Quicken account. The service allows you to import all of your financial information and display it in a manner that is useful. Mint online. If Quicken isn’t your style, you should definitely check out Mint. It’s also a free, online, personal finance program. Feel welcome to check out our review of an earlier version of Mint. Personal finance blogs. Websites like Get Rich Slowly, Awake at the Wheel, The Motley Fool, The Simple Dollar, and Wise Bread are fantastic sources for product reviews, strategies, and tips and tricks for managing your money wisely. What services do you use to help you organize your finances? Let us know about any programs or services that work for you in the comments. Good Housekeeping has an interesting online tool to help you organize and clean just about every room of your home. This week’s entry includes a place for everything. The simple lines combine with the natural lighting make it conducive to productive work. I also like the built-in bookshelf in the reading area. I’m not fond of the desk chair, but that could easily be swapped out for a more ergonomic option. Thank you, Moundbaby123, for your submission to our flickr pool. If there is one thing you need for your office in 2009 it has to be the Electric Paper Plane Launcher. Seriously, how have you survived office boredom this long without such a useful product?! With simple assembly, you can discover how spinning motors and plastic discs can be used to launch a plane at over 30 mph! 30 mph!?! You could definitely put an eye out with these flying paper projectiles. 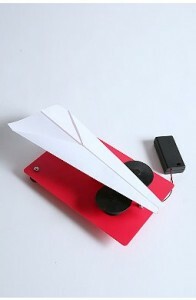 Now if only someone could come up with an automatic paper airplane maker, our lives would be complete. Many of our best posts are a result of questions from readers. Plus, these posts are fun to write. It’s nice to know that what we’re creating will be helpful to someone. In 2009, we want to create a weekly feature called “Ask Unclutterer.” The Ask Unclutterer post will run mid-morning on Fridays, in the second content slot after our Workspace of the Week article. We are looking for questions relating to organizing, cleaning, home and office projects, productivity, and any problems you think the Unclutterer team could help you solve. To submit your questions, go to our contact page and type your question in the content field. 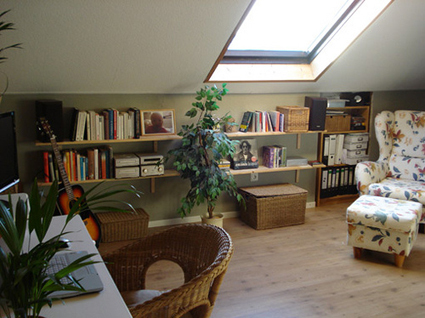 If you feel comfortable sharing images of the spaces that trouble you, let us know about them. The more information we have about your specific issue, the better. We’ll have our first Ask Unclutterer column on Friday, January 9 — so start submitting your questions now! Let the experience of the Unclutterer team go to work for you! At the start of 2008, I made a new year’s resolution to get my laundry situation under control. Laundry always has been the one chore that I hate more than all the others, and I was determined to find a way to clear my life of laundry stress. I did a relatively decent job staying on top of my laundry situation until our dryer died and I had to declare laundry bankruptcy in May. Since the dryer situation was fixed, I have to admit that things have gone pretty well in the laundry realm. From time to time, laundry will get folded and live on the couch for a day before making it into the dresser. However, washed, dried, and folded laundry is leaps and bounds ahead of the huge piles that used to form in the dirty clothes hamper. The best change I made to keep laundry under control in our home was to decrease the size of our hampers. I got rid of the large hampers and replaced them with single load size hampers. When the hampers are filled, I know I have one load of laundry to wash. Psychologically, I know I can easily take on one load and so I do it without any procrastination. Most weeks, I do a load of laundry every Monday, and two loads on Thursday (I change the sheets on the bed and wash the bath towels as an extra load on Thursday). That’s it. Laundry no longer is a major stress in my life — a wonderful improvement from this point last year. I’ve started to think about what organizing goal I’m going to add to my 2009 new year’s resolutions. As I did last year, I’ll announce my decision in January and my plan to achieve that goal. What organizing resolutions are you considering for 2009? 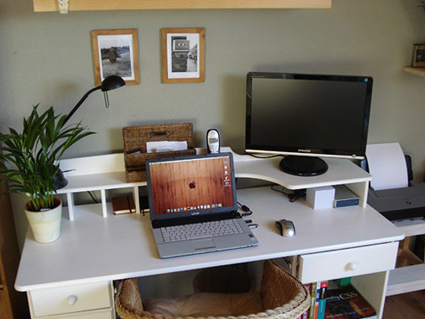 How did you fare with your organizing resolutions for 2008? I’m interested in reading what goals you plan to set in the comments!